This kit previously came with the V.3 LED headlight bulbs. Starting November 2018, this kit now comes with the V.4 LED headlight bulbs. Most LED headlight bulbs out there have a poor beam pattern and lack the brightness you'd expect from a high-end bulb upgrade. Others don't fit inside different headlight housings very well. We made sure when developing this kit for your truck that the product we offer here is the best fitting, best functioning, and brightest LED headlight bulb upgrade available today! 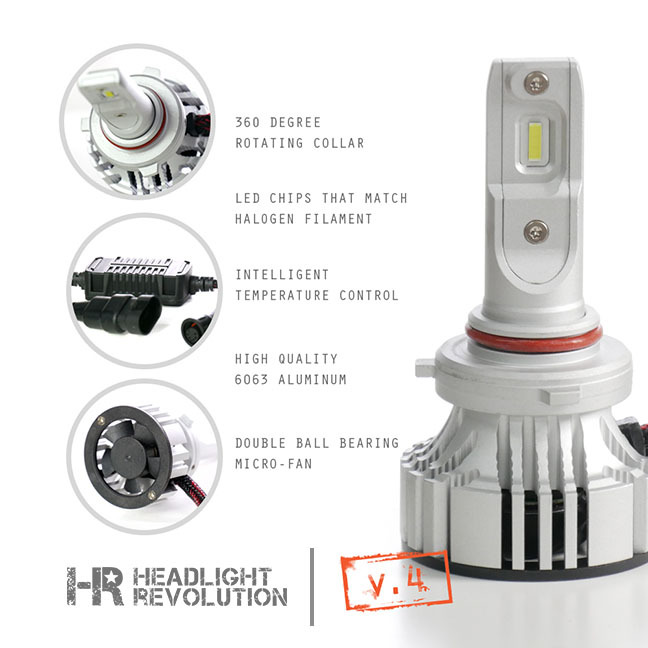 The new for 2018 V.4 LED headlight bulbs (previously V.3) produce 2-3 times more light than the original halogen bulbs, they work with the Daytime Running Light function (DRL), they do not flicker or give you warnings on your dash, and they are easy to install! Watch our new video describing the installation details, as well as why you should be running these bulbs in your truck!